The Native American Navajo tribe has stories of a monster so wicked, so blood-thirsty, that they are to be hunted down and slaughtered. But are they just legends? Or is something sinister lurking in the shadows? The Yee Naaldlooshi--skinwalkers--have the ability to transform themselves. And they can be anyone. Anything. 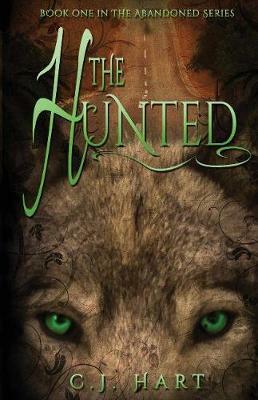 The Hunters--a group dedicated to tracking the creatures--are hot on their trail and they won't stop until every last one is dead. But are they all as evil as foretold? Seb, alpha of the Taylor, Arizona reservation pack, begins to question the acts of their kind. But he's broken a rule and must choose between killing the girl he loves or risking everything to save her. Cassie must fight for her survival. The pack is after her. And they're no joke. Cass is about to find out how sadistic they can be. Renee Shearer writes young adult fiction under the name of C.J. Hart. Renee is a full-time writer who lives in Sydney, Australia, with a crazy pooch named Abbey and a boisterous, somersaulting rescue budgie named Kaleb. Her days are spent living in her fictional worlds and consuming way too much caffeine. She has an (unhealthy?) obsession with all things cupcake- and coffee-related plus Kerouac and YA dystopia/fantasy books. Renée can often be found surrounded by books, marathoning crime shows and munching on vegan goodies, on Twitter (@Renee_Shearer), Pinterest, or dancing in a rainstorm.